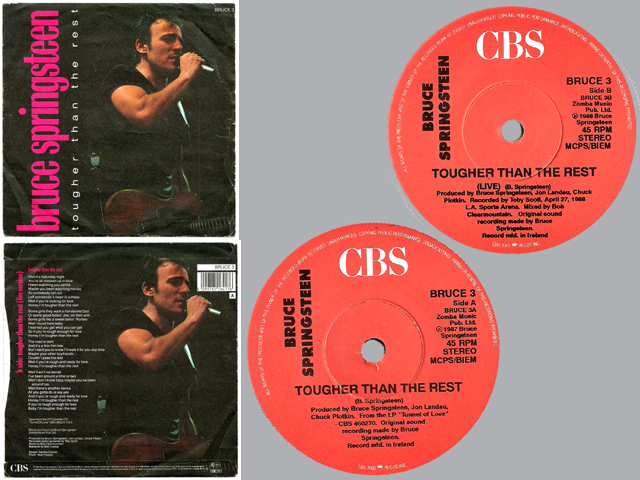 Ireland issue with UK sleeve: unlaminated paper with pink "Bruce Springsteen" lettering on front. Unique labels with written "Record mfd. in Ireland". Really difficult to track down.